Q: You mentioned a bubble in asset prices, what did you mean by that? What should investors be prepared for, is there a larger economic problem looming which markets should be worried about now? 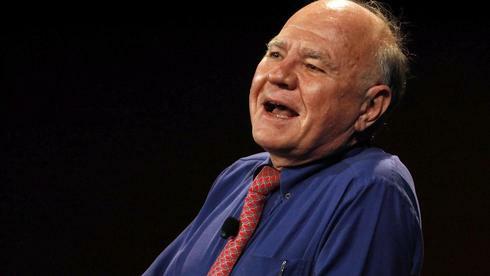 MARC FABER : The Japanese market had gone up 17 percent between November and two weeks ago and then corrected by 15 percent. What investors have to be prepared for is much higher volatility in the second half of this year. Secondly, in terms of economies in Asia there has been a remarkable slowdown in economic activity. For example, if I live in Thailand, I can see the economy at present is not in recession nor is it in depression it’s just not growing any more. The Chinese economy is not growing by 7.8 percent as the government is saying or statistics would suggest. The Chinese economy at present is growing maximum at 4 percent per annum. There has also been a meaningful slowdown in Indian growth. In Singapore, where the statistics are relatively honest in the Q1 GDP was contracting, in the Q1 its growing at less than 1 percent. This can be statistical aberration. Europe is in recession. Look when McDonald announced that Asian sales are down 9 percent, believe me the Asian economies are not exactly booming. When Caterpillar Tractor reports that sales are down 20 percent in Asia, it tells you something about the Asian economies at present. We are not in a traditional recession where everything is depressed like during SARS in Hong Kong, but it is just not growing anymore and the corporate profits by large are now beginning to disappoint.